We live in a world of assembly line products. We live in a world of bespoke style. Yes, the above statement may seem highly contradictory to the one reading it. But that is the truth. A contradictory world is what we live in today. We are inundated with assembly line products, each similar to the other in every aspect. And yet, we are also bang in the middle of the age of personalization. Personalized home interiors, tailor-made clothes, monogrammed stationary– there’s a custom-made product for all kinds of consumer merchandise in use today. Why so? That is because custom-made stuff satisfies our lust for standing out in the cacophony of an assembly of clones. Personalizing the things we use and love, gives us the chance to give in to the craving for individualism that we all have within us, as human beings. Recognizing this immense consumer need to stand out from the crowd, Shivam Autozone offers its customers an exclusive chance to customize their cars, according to their tastes and desires, through the trail-blazing Shivam Signature Limited Edition. You can now drive a car that reflects your eclectic taste, allowing you to convey your elegance and sophistication through this brilliant concept. With Shivam Signature Limited Edition, you can customize your cars in keeping with your likings and aesthetic sensibilities. We bring a whole host of design elements, classy car accessories and exclusive patterns at your disposal, which you can incorporate into your car, as per your own style. Customization is available for both new and pre-owned Maruti Suzuki and Nexa cars. Cars are accessorized and customized from both interiors and exteriors of the car, in keeping with the personal taste and style of customers. You can choose from an elite range of exclusive designs that include graphics and body wraps, to transform your car into a personal statement of your style and class. Shivam Autozone provides 100% package customization for your benefit. Our team of experienced executives helps you to select the best possible customization options for you. They first understand the customer’s perspective, choice, taste, personality, and accordingly suggest various customization options with colour combinations and designs that would look perfect on their personality and the model they own. For example, our executives are trained to guide young owners with personalization styles that are trendy and fashionable; corporate owners, with styles that are subtle and sophisticated; and women drivers with styles that are chic and feminine. The most important point to be noted is that the personalization process is carried out in a way that does not compromise on the warranty or performance of the vehicle. Thus, when you customize your Maruti Suzuki car at Shivam Autozone, it becomes your very own style statement, without compromising on the warranty of your vehicle in any way. 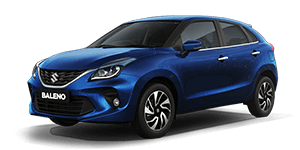 Besides the Shivam Signature Limited Edition service, Shivam Autozone also offers the exciting iCreate option- a brilliant offering from Maruti Suzuki, which allows buyers to customize their Maruti vehicles in a huge number of scintillating ways. 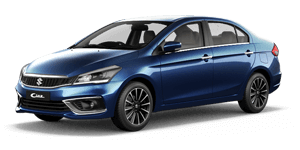 The exterior customization options include roof wraps, hood stripes, grille garnish, headlamp and tail gate garnish, alloy wheels, spoilers, front and rear bumper extensions and side skirts, side mouldings, door visors and window frame kit. Customization options for the interior include a flocking kit (fire red, midnight blue and black colour options on pillars and centre console), styling kit in wood or carbon finish, designer mats, neck and back cushion, steering wheel covers and seat covers. It also has art and genuine leather with features like fire resistant, anti-fungal, long lasting, tailor made, modelwise with wide variety. All styling options are available in a palette of rich, vibrant colours that suggest exquisite taste and elegance. At present, the iCreate option is available for the Vitara Brezza, Ignis and the new Maruti Swift 2018. Very soon, the company plans to add the other cars in its portfolio within the ambit of the service. A car is a very personal thing. Having a customized ride enhances your confidence in yourself and the car that you’re driving. So go for these super services from Shivam Autozone, and get yourself a ride that speaks volumes about your personal style and taste!